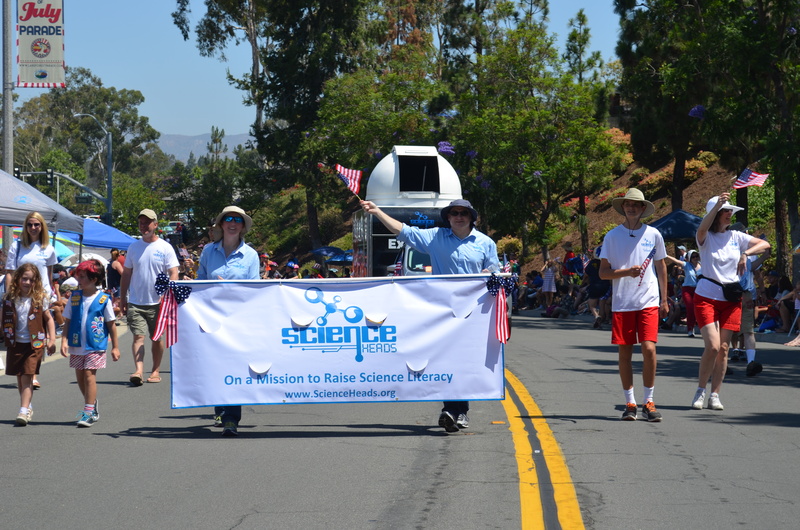 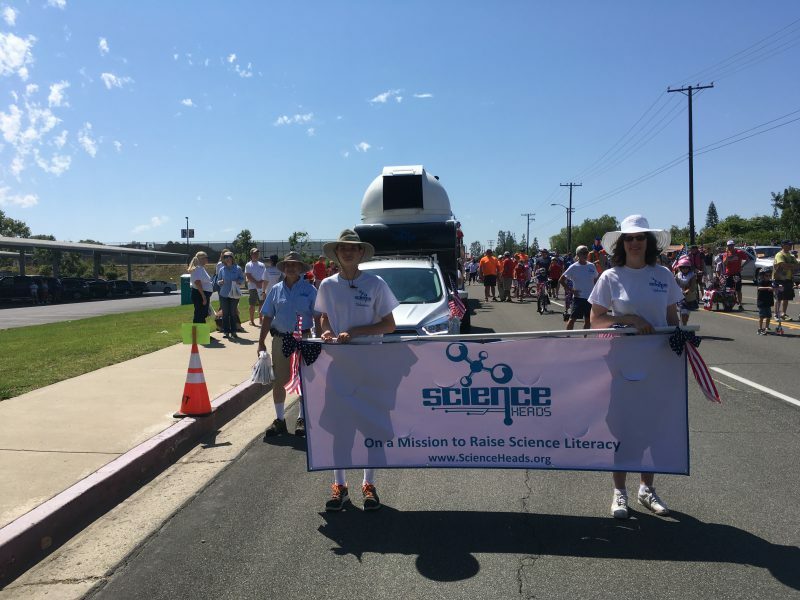 Science Heads celebrates the Fourth of July by showing off our (freshly washed!) 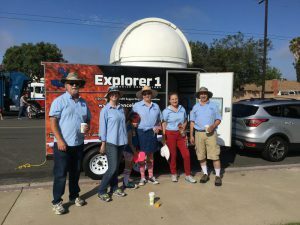 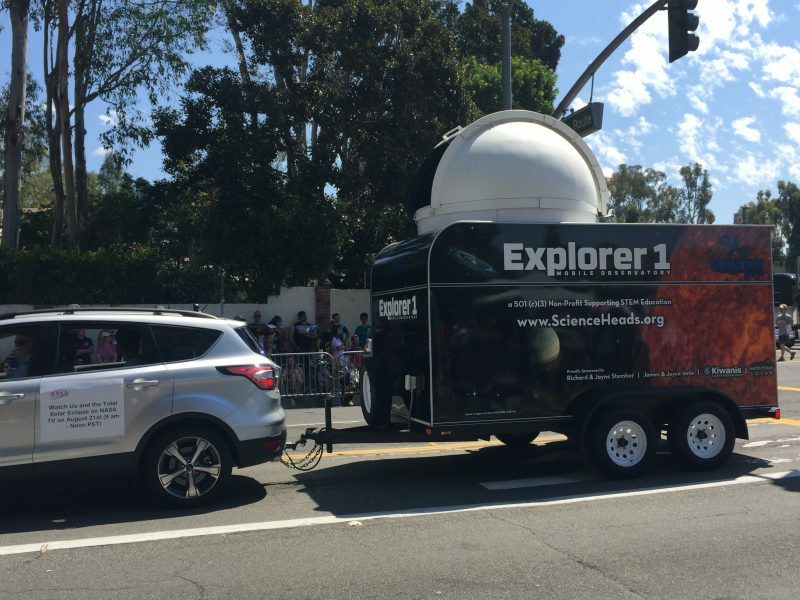 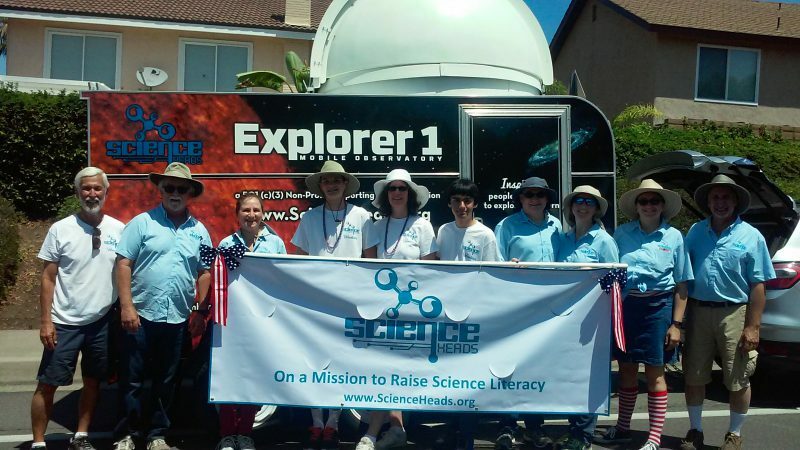 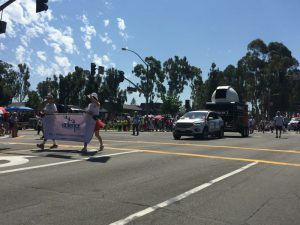 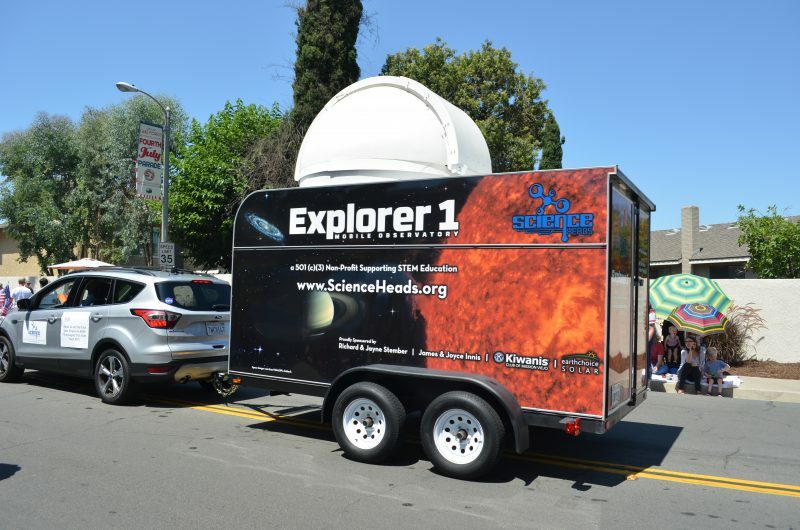 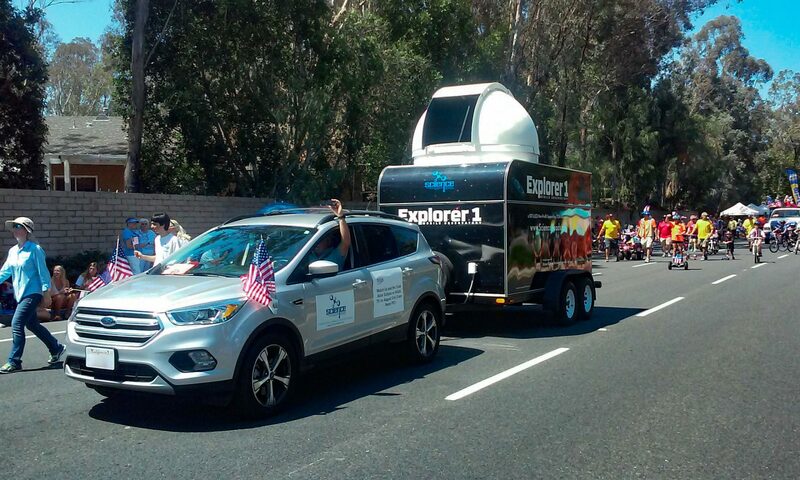 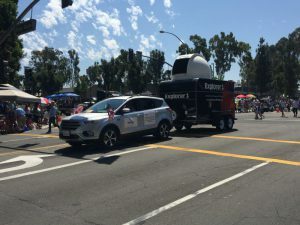 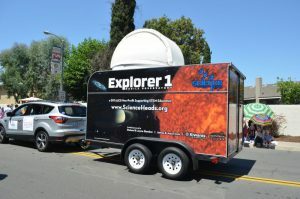 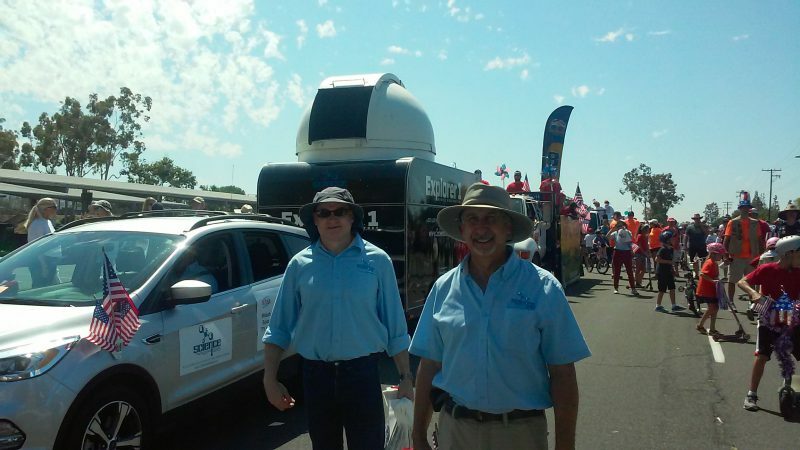 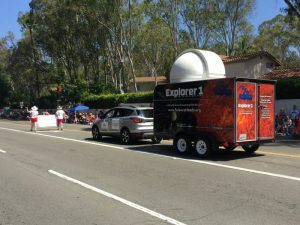 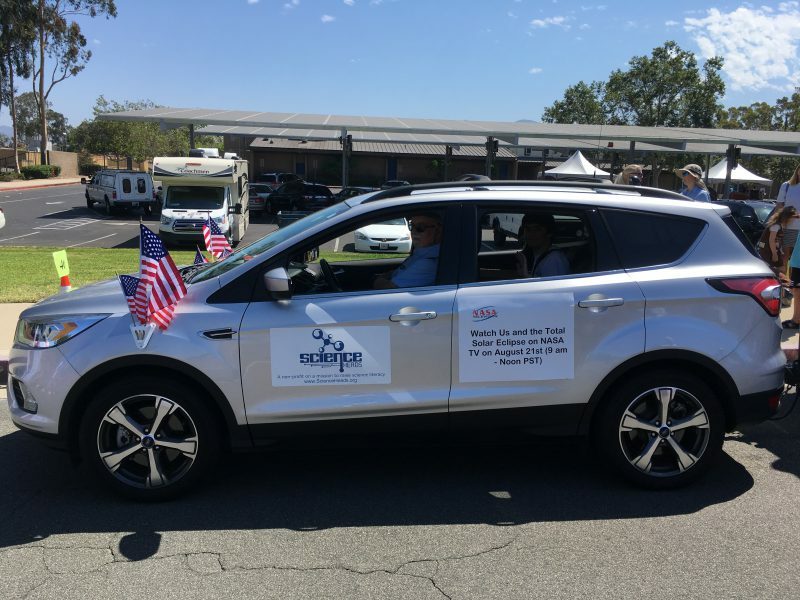 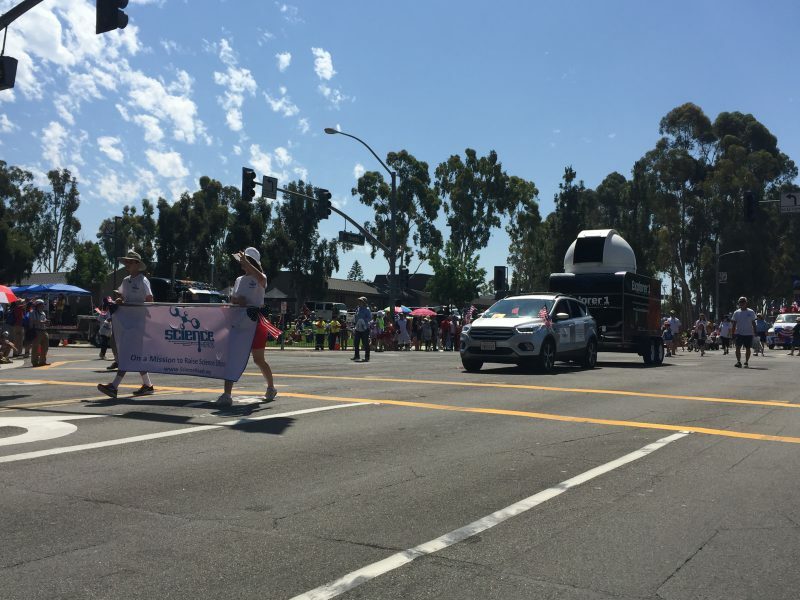 mobile observatory in the Lake Forest parade. 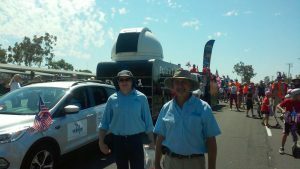 We had a great time today, waving, walking, and handing out over 1000 pairs of solar viewing glasses. Lake Forest is so enthusiastic for the eclipse that we ran out of glasses only part of the way down Lake Forest Drive. 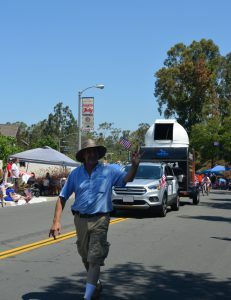 Sorry to have missed the rest of you, but if you’d still like a pair, ours were made by Rainbow Symphony in Reseda, are thoroughly certified as safe for sun viewing, and are only $1.95 in small quantities. NASA has a page with more information on finding quality sun viewing glasses and tips on safe sun viewing. 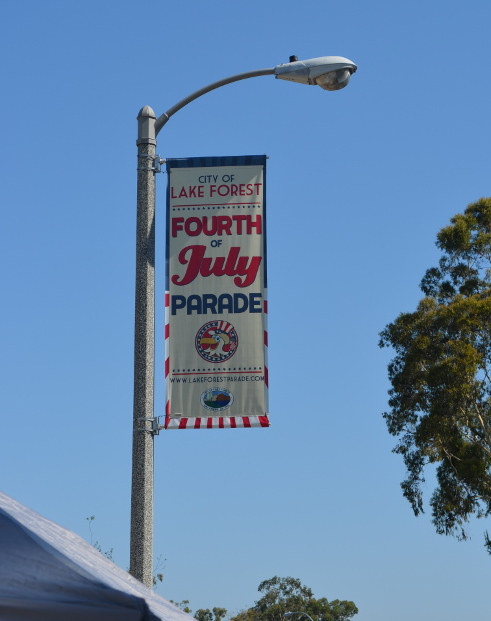 Finally, a huge thank you to our board members and super volunteers out walking the streets of Lake Forest on this very warm Independence Day! Science Heads board members gather before the parade. Waiting for our turn to march! All our attending board members and volunteers (except Linda, who took this picture!) 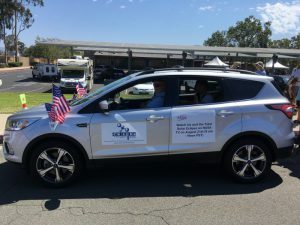 after the parade.